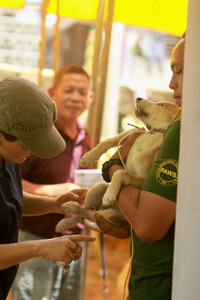 Can PAWS conduct a Spay/Neuter and Humane Education Outreach Program in our location? For those requesting Spay/Neuter and Humane Education Outreach in their areas, please bring this up with your Local Government Unit (LGU)/Municipal or City Government or Barangay. 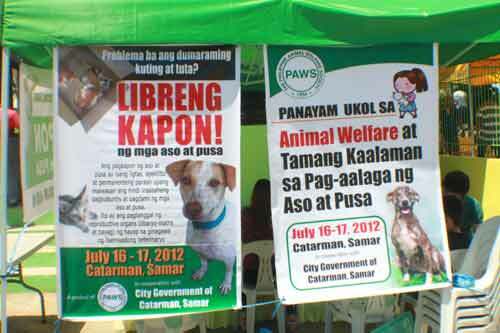 Some LGUs already offer free spay/neuter in their Municipal or City Veterinary Office or pounds. Some City Vet Offices are able to perform the procedure (for free or at low-cost) for as long as the pet owner can shoulder the cost of the medical supplies or drugs/anaesthetics needed. 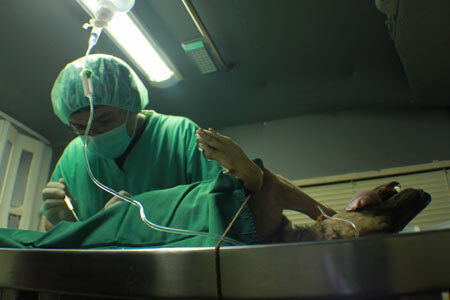 For every Spay/Neuter outreach, PAWS sacrifices its shelter & clinic operations because they will have no veterinarians on duty, will lack shelter manpower by giving up handlers & key volunteers for the duration of the mission. So the Spay/Neuter trip has to be scheduled way ahead of time so that it does not affect treatment regimen of the shelter animals undergoing rehabilitation & pet owners who avail of low cost veterinary services may be advised of the dates the clinic will temporarily close.